The penultimate episode of Dexter, began production this week. 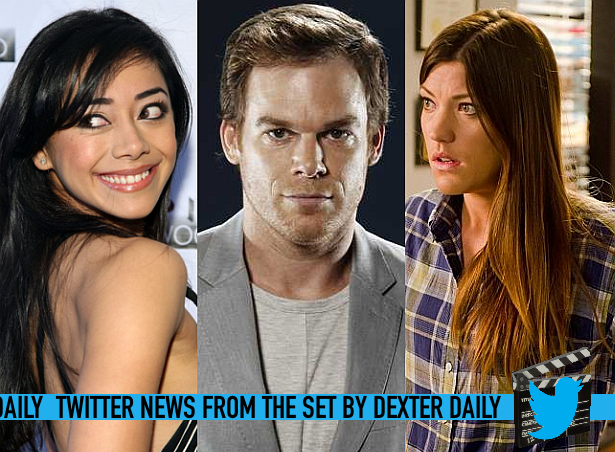 Check out after the jump all the twitter scoop (last 10 days) from the cast and crew of Dexter, during shooting the final season! Our 2nd to last read-through (Episode 811) is this Friday...! How did that happen?? I want I tell you what they are shooting tonight!!! But I CAN'T!!!! Oh the horror!!!!! You won't belieeeeeeve the picture I just scored for you!!!!!!! !